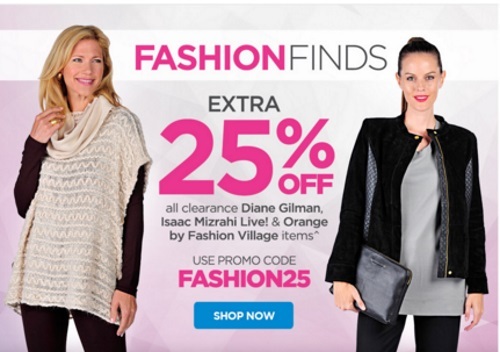 The Shopping Channel is offering an extra 25% off select fashion clearance items! This applies on all clearance fashion items such as Diane Gilman, Isaac Mizrahi Live! and Orange by Fashion Village items. Enter the promo code FASHION25 at checkout. Offer ends April 18 at 9:59pm ET.